If you Google, “Why Having a Child Was the Best Thing for My Career” the search results at the top are are a mix of questions on Quora that go something like this: “I’m 30 and crushing my career, and want to have a baby. How screwed am I?” and posts like, “When Women Chose Children Over Career”. It’s disillusioning. Having a baby is not the end of your career and neither does everything in your work:life:family have to take a nose dive before it turns up. I’m definitely more confident. I’m more confident now than I’ve ever been in my life and that may be down to age and maturity, I’m not entirely sure. But it coincides when Poppy arrived in our life. Now this confidence does not appear immediately. I felt very uncertain when she was a baby – the unsolicited advice, the numerous trips to the Dr and Health Visitors etc. they can have you really questioning yourself and your decisions.wBut ultimately, having a child means that you have to make so many decisions that you hadn’t considered before in your life. It’s no longer just about you – your choices impact your child and their wellbeing. When you have to make these decisions over and over again, it gives a certain level of confidence when you make a decision and it turns out to be the right one. I’ve learned how to trust my own intuition over lots of unsolicited parenting advice, how to communicate with a non-verbal baby and make important decisions about child-care and education. When your child is thriving and happy you can’t help but feel confident in yourself – you’re doing an amazing job! That spills over into everything else. Career included. It’s not easy and you may not always make spot-on decisions, but you do what is best for your child and your family at the time. Nobody can ask you to do more than that. The second reason why having a child was the best thing for my career, is that life throws up challenges and for some reason my first instinct was to just deal with those head on for the sake of my sanity and of my child. I didn’t want to go back to the job I was in when I was pregnant. I knew I wanted a role that was flexible and allowed for career progression and the things that were important to me when I was child-free were no longer important to me career-wise when I had my daughter. Business travel was a no-no, for example. I was no longer a 22 year old wanting to stay in a hotel in a faraway city on my own for the sake of work. 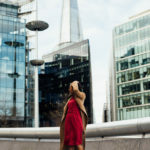 If you read my interview with Lisa from CityRunMum.com, you’ll hear how before I was pregnant I was working in the legal team of one of the best-known brands in the world, friends and family thought I was mad to leave when I had my daughter, but I knew what I wanted. I wanted engaging work that I enjoyed, flexibility, a role with space for exec-level progression, to make a real difference to the business and no longer be a small cog in a big wheel. Essentially I wanted to stay at that company for at least the next 5 years. My role at that big-time brand couldn’t offer me that post-baby. So I left that company and went to work for a much smaller owner-managed company, who at the time was (and still is) making waves in the industry. I was given more responsibility (maybe than I could handle at the time but oh well) as I was their only lawyer and it was a big change considering I joined right when I finished my maternity leave. Stepping up to take on more responsibility has benefitted me hugely in my career for obvious reasons; more exposure, more recognition, more flexibility as a senior executive and more of everything that comes with that, including a higher salary. But again, it was not easy. Ah the art of the difficult conversation. I rather welcome confrontation in all honestly, and before you think I’m an antagonistic, ego-maniac, I do not mean the drama-filled raging arguments kind of confrontation. Being able to confront a situation head-on and address an elephant in the room to get things sorted is something that so many people shy away from and it does nobody any good. Since having Poppy I’ve both initiated difficult conversations and been on the receiving end of difficult conversations with lots of people; nursery staff, doctors, friends, family, clients and colleagues. 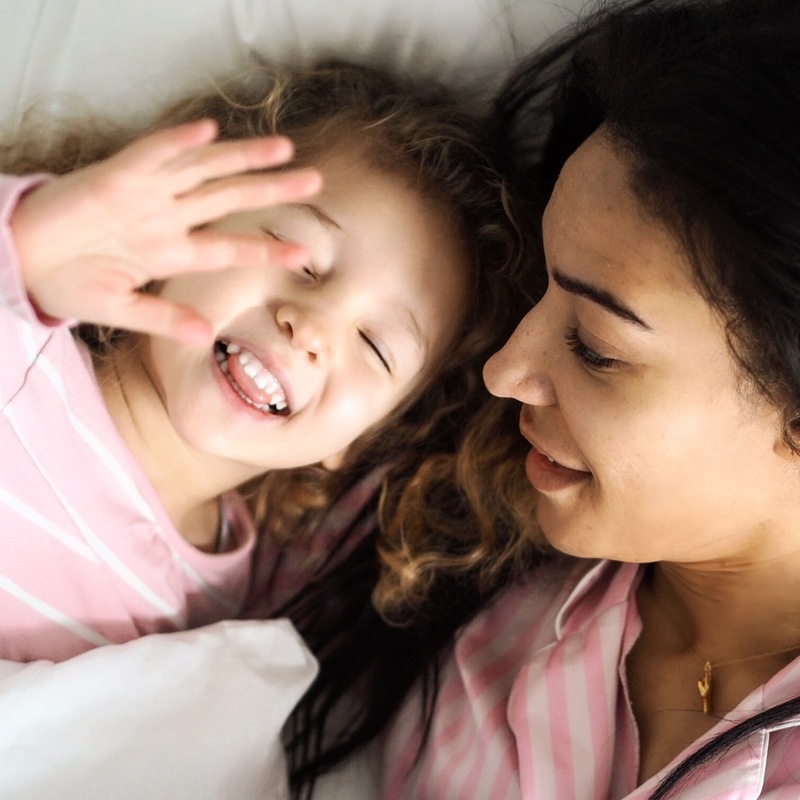 If it’s a conversation about not giving my daughter too many sweets, questioning medical advice, immunisations and medication, discussions about discipline, or talking to my bosses about what I need at work – things have to be discussed if they are to be sorted. I don’t sweep things under the carpet unless I really don’t care about them. It’s no longer acceptable for me to skirt around issues or ignore them. I’m my daughters’ advocate, I need to use my voice for her because she can’t yet. As a parent I have been forced to get comfortable with being uncomfortable and that has only benefitted my in my career. A lawyer that can’t have difficult conversations is about as good as a Rich Tea biscuit in a cup of tea in my opinion – cultivating this skill this means I do better for my clients by having those conversations on their behalf too. You can hear my co-host, Mel and I discussing prioritising on our chart-topping podcast, Not Wonder Woman, here. With less time than I had before I became a parent, I had to get better at managing my time if I was going to be efficient and get stuff done. I learned the hard way, by good old failing. I worked myself too hard when I first went back to work after maternity leave, I was trying to prove myself and worked far too much – it wasn’t sustainable. Nowadays, I am a huge fan of outsourcing things I don’t have to do, to make time for the things I want and need to do. Admitting that I can’t do everything at home and outsourcing those things has given me the ability to know what and how to delegate things effectively in the workplace too. Effective delegation is an important skill, lots of us take on too much and buckle under the pressure of it all – trying to spin all the plates. Learning when, how and to whom to delegate to is necessary as a leader in business and I first learned how to do this properly as a mother. I fit more into my days by maximising productivity having finally given up the terrible procrastination habit I’ve had since I was a student. I have more of an ‘up and at em’ attitude seeing as I know I have less time to waste. Since having my daughter, there is a new commodity I’m chasing and it’s not money – it’s time. This is the single most important thing to me and I won’t waste it or have anyone else waste it if I can help it. I have forgotten about being ‘busy’ and instead try to focus on being productive and efficient instead. I actually get stuff done instead of saying I’m going to do it or procrastinating. Making time for self-care doesn’t just apply to parents, it applies to all of us. Even when I had lots of time on my hands before I had my daughter, I was socialising like most 20-somethings and generally having a great care-free time, but I don’t think I was taking time to consider what I really wanted or needed for that matter. Nowadays, I have discovered I need to make time for myself to rest and recuperate, let my hair down and invest in my mental health and wellbeing. If I’m ill, feeling overwhelmed, or stressed there is a knock-on effect on how I can care for my family and work on my business. I can’t ignore my own health and keep going until the wheels fall off. That doesn’t make sense. Eventually, I’ve learned to be selfish and get what I need to manage a full schedule. This has been the hardest new habit to establish – I took nearly 3 years before I had a night away from Poppy. I didn’t feel comfortable leaving her. I’ve since learned that prioritising my routine medical appointments, making time to meditate and exercise, getting in downtime and prioritising little things like having my hair done and wearing nice pajamas, organising my bathroom cabinet (you can check it out on Instagram Stories here) enable me to indulge myself and feel human instead of a mouse on a perpetual treadmill. Identifying when I may be feeling overwhelmed allows me to be more self aware. Getting what I need ultimately helps me to be more resilient which is a much needed quality anyone needs in this day and age for navigating your career. 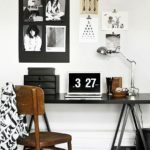 Corporate Style Story is actually my second blog, I started a parenting blog when Poppy was a year old. Other than those women who choose to be at home full time after having their children, lots of mothers have returned to work in the UK about a year after taking maternity leave, whether that’s part-time or full-time, whether thats for an employer or to work for themselves. The time away from work tends to be much shorter in the US and longer in some other parts of Europe. When I returned to work, there were of course less opportunities for me to meet and connect with other women and mothers who had similar things going on as me. I needed to finish work and get back to my family. Also, I was tired! Sooo tried! I didn’t have the energy to leave the house once I was back, Poppy was not a good sleeper, but that’s another story. That first blog was amazing at helping me find other mothers online, to read their stories and advice and discover their product recommendations. I looked forward to Twitter chats twice a week and writing my blog (albeit sporadically). Blogging allowed me to connect with the women and mothers behind the blogs and social media; savvy business women whom I still pick up the phone to now (you know who you are). I’d recommend blogging to anyone wanting to connect with people online and share their passions, because aside from creating the content there is a whole community of people out there and it’s amazing meeting people on line. If I hadn’t started my first blog, then I definitely wouldn’t have started CorporateStyleStory.com. This blog is turning into more things than I could ever imagine and as such this has been the best thing for my career. It allows my to be creative and use my business head at the same time, I’ve learned so many new skills and I get a lot of satisfaction from it. I’ve never been happier and I think that’s because I have all the things I want right now. Don’t get me wrong things are not a walk in the park every day and some times its really tough trying to juggle it all, but essentially I’m appreciative of everything and everyone in my life. People that are in my life are people I’ve consciously chosen to have around. I’m sure I could have cultivated all of these qualities over time without having had a child, but it just so happens that for me, having Poppy has had such a positive impact on me and my career that I wanted to share this to encourage women that having children can certainly be a positive thing for you and your career. Challenging, but definitely positive. Women needn’t think that it has to be one or the other. Assess your situation and decide what’s best for you and your family. This post isn’t about encouraging you to rush out and have children willy-nilly, it’s about women considering their options and not thinking that having a child is detrimental to your career, it certainly isn’t considered that way for men. Having a child was the best thing for my career (which is obviously just one of the reasons motherhood is amazing) and it can be the same for you too.